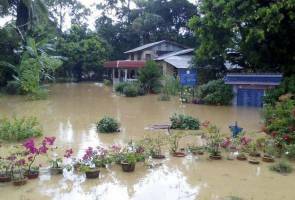 IPOH: The number of flood evacuees at the relief centre in Perak Tengah up to 8 am today was at 86 from 19 families. State Fire and Rescue Department director, Datuk Yahya Madis said they were housed at Surau Nurul Jannah in Parit 6, Layang-Layang Kiri. "The group comprises 27 men, 29 women, 16 boys and 14 girls," he said when contacted today. The flood water level in the area still remained at 0.75 metre, he added.